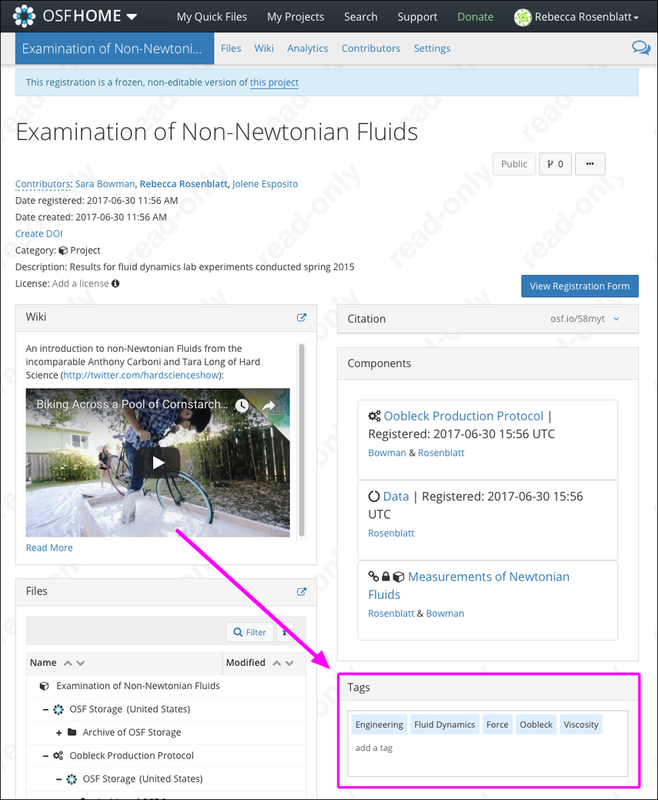 You can add tags to your registration to enhance discoverability of your work. First, open your registration, then scroll down the page until you find the "Tags" section on the right. Click inside the "Tags" box and type in your tag. Then press enter. The tag will be added to your registration. To remove a tag, click the x to the right of the corresponding tag. Tags help in finding public research in your field. 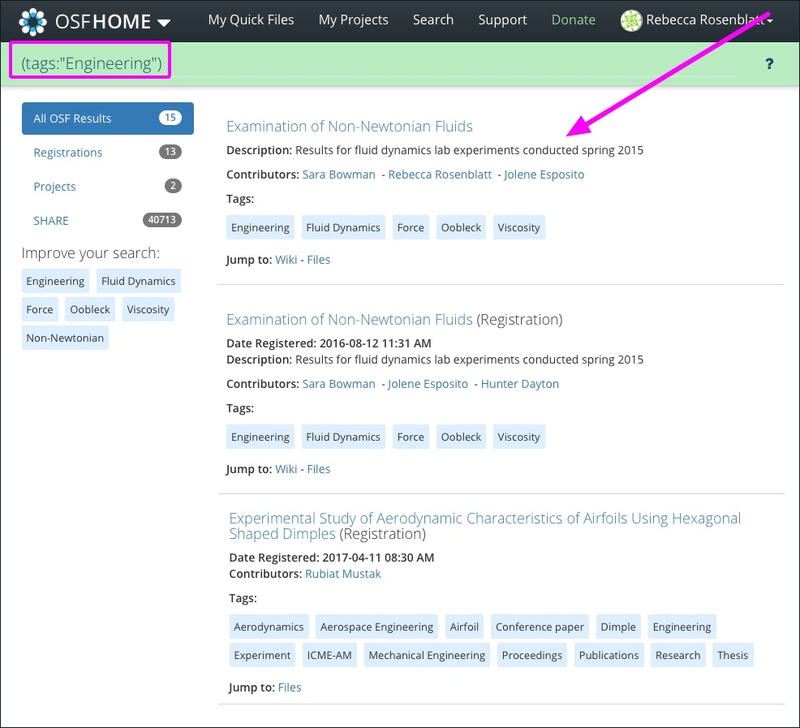 Tags are automatically indexed in OSF search. However, if your registration is embargoed, your registration and tags will remain private and will not appear in search. In the "Tags" box, click on a tag to filter public works by the same topic. Search results in your field will appear.